There’s a budding backyard landscaper in all of us. Everyone has looked out at their backyard and dreamed about turning that corner into an outdoor-open fireplace, that empty space into a Jarrah decking or having a pergola surrounded by roses, right in the middle of the yard. Unfortunately, there’s often a huge gap between your dream and the reality of your skills. This gap is often a result of lack of experience, lack of time, lack of resources and a lack of knowledge as to where to start. But, backyard landscaping doesn’t have to be this difficult. If you follow our tips and tricks, you might be well on your way to throwing the first logs on that open fire, cracking your first beer on that decking or having your first backyard party in that pergola. If you’re going to tackle your backyard landscaping ambitions, you need a game plan. This gameplan should effectively be a visual or textual representation of everything you envisage and everything you want to create. It should be broken up into sections, such as ‘middle, left corner, right corner’ or ‘garden bed, decking, pool, fireplace.’ It should also contain a list of wants and needs. This list can be broken down into individual family members, so you can create a list of what you want, what the kinds need (grass to play on) and what the kids want (pool). Your gameplan can also include details such as where the afternoon sun hits, where the windiest spots are and where water tends to run when it rains. This will help you in planning where certain features will go, you don’t want your decking copping the worst of the afternoon sun or you’ll never sit out there and you don’t want your garden bed sitting in shade for the entire day. Your gameplan is your overall strategy, it’s the dream set out on paper. Now it’s time to break down the dream into achievable little chunks. By setting realistic goals you will notice your progress and this progress will motivate you to keep going. If you set an unachievable goal you will feel as though you’re going nowhere and the inspiration will soon fall away. The best way to do this is to start with sections of the gameplan, so start with the decking and focus all of your energy on that. Every well-designed backyard has a focal point (or points). Focal points catch the eye and give structure to the rest of the backyard. A pergola is a classic example of a focal point. You place the pergola in the middle of the backyard and base the rest of the design on that. So you can have garden beds encircling the pergola or extending out from the pergola. You can then create secondary focal points at spots surrounding the pergola to add more points of interest. Your gameplan isn’t set in stone. You can’t expect everything to work out exactly how you wanted it to and if you aren’t flexible in your plans the whole process is going to be incredibly frustrating for you. Elements of your dream will be more expensive than you think meaning you have to prioritise, or perhaps your backyard just may not be suited to what you have dreamed up. The best thing to do is to set out your gameplan in pencil, so you can rub things out or add things as you go. For example, you may have dreamed of having a pool only to find out that you will need extensive and expensive excavation work before any pool can be put in. Instead of giving up on the whole project or spending obscene amounts of money on excavation, just change your gameplan, go for an aboveground pool or a spa. Is It For You, or The Market? This is a key question to ask yourself before you embark on a landscaping project. If the backyard is for you, fill the gameplan with all the things that you want or think you need. If your redesigning your backyard in order to increase value to your home you need to ensure that you’re creating something that everyone will appreciate rather than just you. It’s better to keep things simple when you’re designing a backyard for sale. Fireplaces and pools are still a great idea but don’t put too much of your personality into the backyard (bars made out of VB cans aren’t a great idea). If you’re thinking about embarking on your own landscaping odyssey, contact the team at Everlast Services. 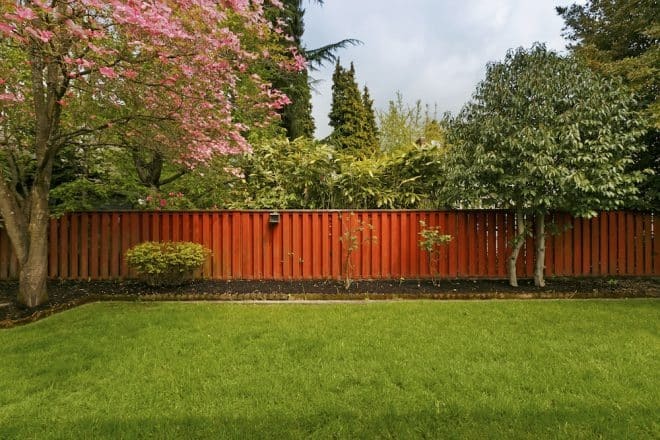 We know everything there is to know about backyard landscaping and can provide advice on quality products, which we source and provide at unbeatable prices. For more ideas when it comes to landscaping, take a look at our recent post on Landscaping Ideas for Small Spaces.